DDoS (distributed denial of service) hacker attacks on the gambling operators websites are really becoming a problem that is causing growing concern. A friend of our resource who works in an independent online gambling activity research agency reported that nowadays 9 out of 20 sites that work in the field on online gambling get attacked. According to our statistics that bases on the most recent data, almost all of the resources (Playtech casinos, Microgaming casinos and RTG casinos included) get attacked repeatedly. According to statistics, 9 out of 10 gambling-sites had to face this problem over the last year, 1 out of 10 over the last week, and 3 out of 4 were attacked more than once. 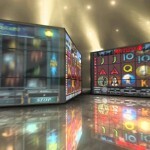 It should be noted that such an attack on an online casino can cost its owners about $ 40 000 per hour.